PARIS (AFP) – The threat of terrorist attacks in France has put paid to fans’ hopes of watching the World Cup on big screens in public spaces, France’s ministry for the interior announced Tuesday. Who is ‘demonising Muslims’ who concoct absurd conspiracy theories, like suggesting Islamic attacks are ‘staged’ to make Koranimals look bad? 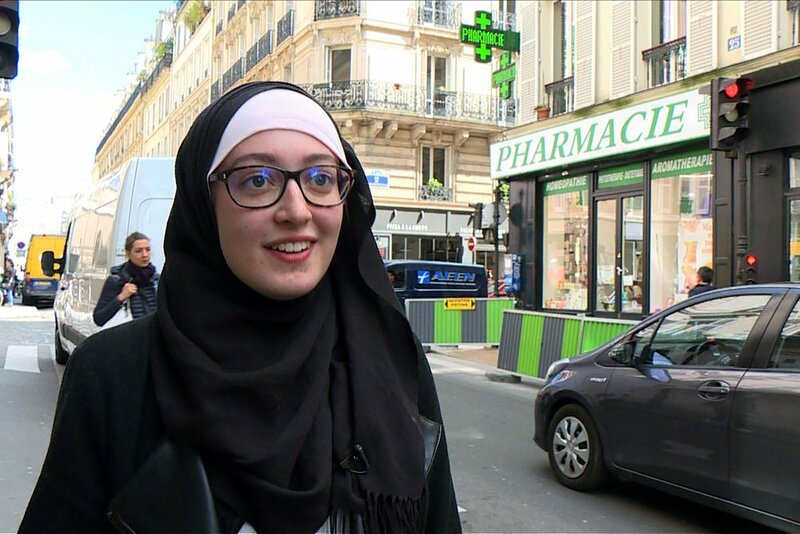 Until recently, Maryam Pougetoux, 19, was an ordinary student at Paris IV, one of the Sorbonne’s campuses, where she studies literature. She is president of the local chapter of France’s student union, UNEF—an important institution in France. She is also Muslim, and wears a hijab. a Mohammedan agitprop, who wears the freedom sack and pulls every register of Islamic grievance theatre.